An early type of filly by a fast first season Group 1 sire, half sister to 5 winners. Into training with Amy Murphy. Shares available for free lease. PLUS 10 registered. For sale Ascot November sale. Has French premiums. Sold for 50,000gns Tatts Book 2. In training with Declan Carroll. Sold for 22,000gns to Alan Bailey. Sold for 42,000gns at Doncaster Premier to Middleham Park Racing. Goes into training with Ruchard Hannon. In training in France with Yvonne Vollmer. Held up with a stress fracture during 2017 now back in training. Sold at Tatts Book 3 in training in Newmarket with Mark Tompkins. Ran twice at 2 in 2017. Sold as a foal for 17k, subsequently resold at a yearling at Donny for 60k to Shadwell. In training with Owen Burrows. Sold as a foal to Woodstock, now in training with Grant Tuer, twice WINNER at 3, 2018. 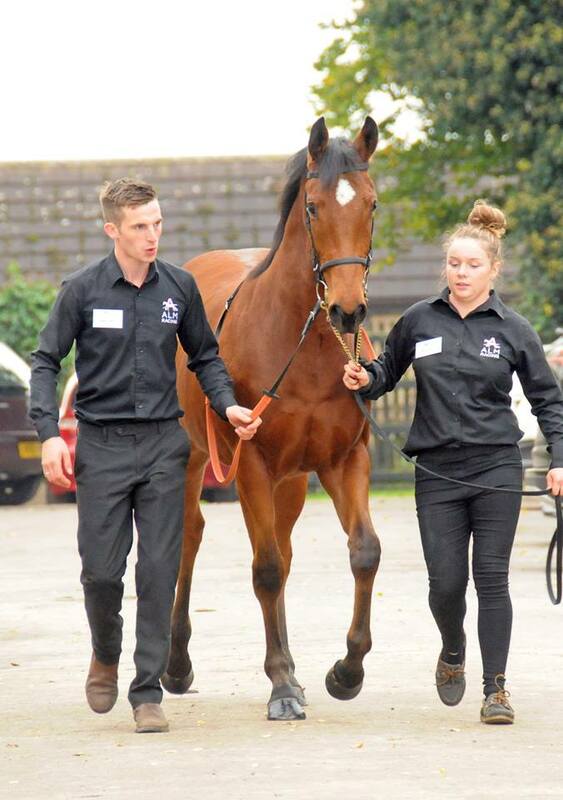 Bred in partnership with Matt Coleman and Sam Hoskins, sold to Heather Royale as a foal, in training with Eve Johnston-Houghton. WINNER of her PLUS 10 maiden on debut 11.10.17. Sold for Make a Stand Ltd at Baden-Baden. In training with Mark Johnston. WINNER 27.4.17. WINNER 1.6.17. Placed once from 4 starts at 2, 2016. In training - placed 3rd in her first bumper. A hugely versatile horse, half brother to Myriades D'Etoiles, winner at 2, 3 and 4 on the flat, black type hurdler. 3rd in a Permier Handacap Galway 4.8.17. FLAT OR 96. Half brother to Myriades D'Etoiles, won his only start at 2. WINNER Class 1 10.3.17, LISTED WINNER 12.6.17 trained by J-C Rouget for Al Shaqab. 2nd GROUP 2 16.7.17 Maison Laffitte. 3rd GROUP 1 Secretariat Stakes 12.8.17. FRENCH RATING 50.5 (111). Half sister to Myriades D'Etoiles, also trained in France by J-C Rouget. Placed 2nd in both her 2 y o starts so far. Own sister to Madame Mere, will race for Normandie Stud. In training with Richard Hughes. This filly is out of Madame Mere's Galileo half sister, races for Normandie Stud. Maiden WINNER 19.6.17 Windsor. Jim Boulger trains for Godolphin, daughter of Madame Mere's half sister. Maiden WINNER 10.7.17 Roscommon. WINNER 16.8.17 Gowran Park. Fantastic WIN 10.0.17 Premier Handicap on Champions day at the Curragh. 4th in a Listed race 15.10.17. Half brother to Lady Tabitha, with Mark Johnston won twice from 2 starts in 2016. WINNER 22.7.17 Newmarket.OR 100. Half sister to Lady Tabitha, own sister to Love Dreams. In training with Declan Carroll. Entered for Irish 100 guineas 2018. JUST ANOTHER BOTTLE - 3yo G Intense Focus x Duchess K.
Already a winner at 2, this is a son of Lady Tabitha's half sister. WINNER 12.4.17. WINNER 1.7.17. OR 93. With Declan Carroll. Half sister to Arabian Music. Very decent sprinter. WINNER 21.5.17 EBF FILLIES SERIES QUALIFIER. OR 93. 3/4 brother to Arabian Music. WINNER 14.3.17 WINNER 16.4.17 WINNER 25.8.17 WINNER 1.9.17. 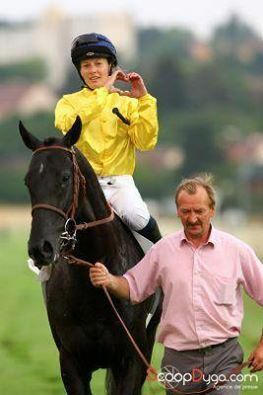 His dam is a half sister to Arabian Music. WINNER maiden 15.1.17, WINNER class 2 handicap 18.1.17, WINNER 29.7.17 OR 90. Half brother to Futureland. WINNER of the famous Wood Ditton Maiden at Newmarket on 18.4.17. OR 92. Half brother to Futureland. Juvenile hurdler with Gordon Elliot. Balandra is a half sister to Futureland. This colt placed 3 times from 3 starts at 2. Maiden WINNER 28.6.17. OR 84. His dam is a daughter of Futureland's dam's sister, Batik. WINNER Listed 18.4.17 WINNER Listed 26.5.17. GROUP 2 2nd 23.6.17. GROUP 3 2nd 5.8.17. OR 114. This colt sold for 85k in Book 1. His dam is a daughter of Futureland's dam's sister, Batik. Derby 2018 entry. Maiden WINNER 1.10.17. Swiss Spirit sired half sister to our 2017 pinhook filly by Coach House. In training with Richard Hannon for Julie Woods. First foal of Madame Mere, with Normandie Stud. By a first season sire, son of Oasis Dream, and out of a young mare who was 90 rated at 2. Will breeze in 2018. This filly is out of Madame Mere's Dubai Millenium half sister, with Normandie Stud. First foal out of Blue Mistral's half sister. This colt topped the short yearlings at Goffs Feb 2017 selling for 86,000gns. Uryales is the granddam of Myriades D'Etoiles, making this colt half brother to Group 1 winner Elliptique. Half sister to Lady Tabitha. Uryales is the granddam of Myriades D'Etoiles, making this filly half sister to Group 1 winner Elliptique. Second foal out of Blue Mistral's half sister.